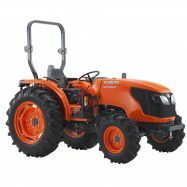 Well-respected because they are so versatile and reliable, every tractor for sale by Kubota has been designed with a specific purpose in mind. 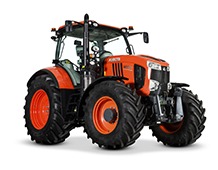 Ever since the first antique tractor rolled off the production line, Kubota’s tractors have been associated with high-performance as well as offering the operator a superb level of comfort. 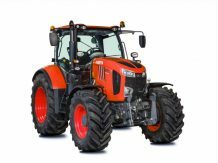 Today, the Kubota tractor range might be more extensive than ever before but the design principles of ease of operation blended with sheer horsepower continue in all of our powered agricultural machinery. 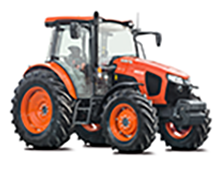 Simply browse the products on offer whether you are looking for farm tractors or utility tractors. 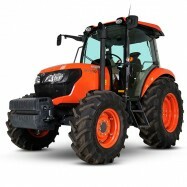 Our tractors are among the most robust farm machinery you could choose to invest in. They will allow you to gain access to even the most demanding of terrains. Their high-level of performance will mean that they soon beome indispensible companions when carrying out your day-to-day farm activities. 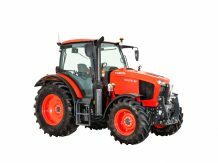 There is something for everyone in this comprehensive range of agricultural tractors, each offered with different power levels, transmission modes and widths for various sorts of settings. Every diesel engine we make is designed to be economical whilst delivering the sort of power you need to carry out demanding jobs. 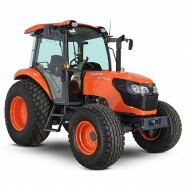 Why Trust in the Kubota Tractor Range? Kubota’s slogan has always been ‘For the earth, for life’ and it remains something that is at the heart of what we do. 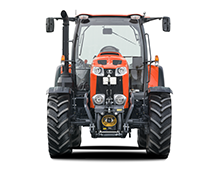 You can see this throughout the entire tractor range as well as all of the other agricultural machinery we make. 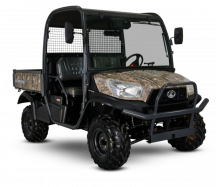 With experience that dates back to the end of the 19th century, Kubota Europe SAS has the experience and know how to offer its customers a truly versatile range of products optimised for all agricultural projects.